Last week, Nelke & the Legendary Alchemists: Ateliers of the New World was released last week in Japan, and it’s coming in March in Europe and North America. But there’s another Atelier game following shortly after: Atelier Lulua: The Scion of Arland, releasing on March 20th in Japan… and this May in Europe and North America! Yesterday, Koei-Tecmo announced that the 4th game in the Arland sub-series will be released on May 21st in North America, and May 24th in Europe, roughly two months after Japan. 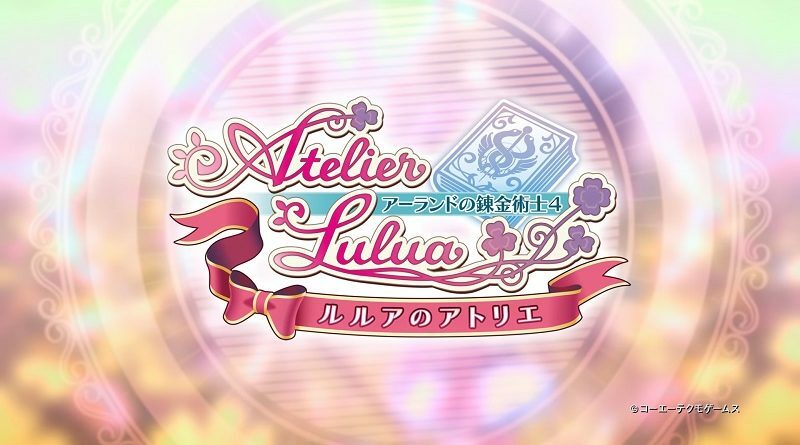 Atelier Lulua: The Scion of Arland invites players to assume the role of Elmerulia “Lulua” Fryxel, a young aspiring alchemist training under former student turned mentor, Piana. Lulua studies diligently to fulfill her dream of becoming a great alchemist just like her mother, Rorolina Frixell; but during her training Lulua discovers a mysterious Codex, awakening an ancient power within her that enables Lulua to decrypt but a single page – with many more riddles for her to unravel. Players will be tasked with performing actions focused around the core Atelier series gameplay – Gathering, Battle, and Synthesis – to allow them to decipher more of the text, as well as learn exciting new types of alchemy. Lulua sets off to Arland in the hopes that she can improve her powers and uncover the riddles of the Codex. When arriving, she learns that her mother’s atelier shop has been forced to close. Relying on the help of the Codex, Lulua works hard to save the shop before it is too late. The first steps into her new adventure are filled with excitement; little does Lulua know that Arland is home to many mysteries yet to be awoken. On their adventure, players will meet a compelling cast of companions, with some familiar faces joining the line-up, including: the most renowned alchemist and mother of Lulua, Rorolina Frixell; the ex-apprentice of Rorona and influential alchemist, Totooria Helmold; keen adventurer and private guardian of Totori, Mimi Houllier Von Schwarzlang; and former knight turned chief of the ‘Guardian Force’, Sterkenburg Cranach. If you have never played the previous games in the Arland sub-series, don’t forget that the Atelier Arland Trilogy is available on the Nintendo Switch (though only on the Nintendo eShop). Atelier Lulua: The Scion of Arland (Switch) comes out on March 30th in Japan, May 21st in North America, and May 24th in Europe. The Upcoming Games page has been updated!